When Matt Jackson’s girlfriend was killed in gang crossfire in 2014, leaving him a single father to a 3-year-old girl, he knew it was time to do something different with his life. Jackson,* who grew up surrounded by drugs and violence in Boston’s South End neighborhood, had been getting into trouble since he was a kid. Locked up at 14 for possessing crack cocaine, he spent what might have been his college years in prison for selling the drug. At the time of the shooting, he was 31, bouncing between jobs and dealing on the side. So when two guys he’d done time with — “dudes from the same background as me” — asked if he wanted to try college, he decided to give it a shot. 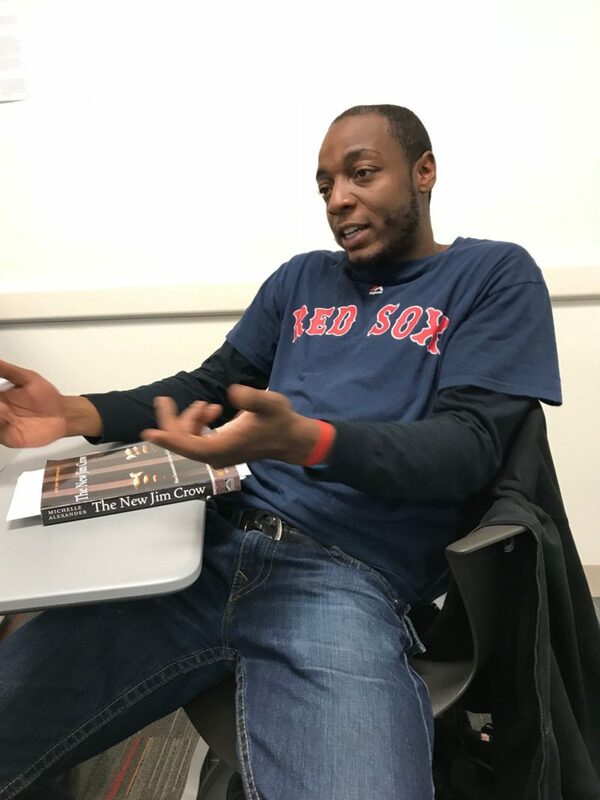 Now 35, Jackson one of 200 former gang members who are enrolled or preparing to enroll in Boston colleges through a program that is trying to transform the city’s most dangerous neighborhoods by transforming the lives of their most destructive residents. The program, called Boston Uncornered, seeks out “core influencers,” the 1 percent of young gang members in Boston who researchers say are either the perpetrators or victims of 70 percent of the city’s homicides. It offers them free college prep, mentors, and stipends under the theory that, once armed with a college degree, they’ll go from negative to positive role models in their communities. At a time when increasing attention is being focused on helping prison inmates get degrees, Boston Uncornered is one of hundreds of programs nationwide aiming to break cycles of urban poverty and violence in the first place. Many are targeting high-achieving, low-income clients, giving them the guidance and scholarships they need to leave their troubled communities behind. Efforts that focus on high-risk, off-track youth are rarer, and tend to emphasize high-school completion and careers. One of the best known is Cure Violence, which started in Chicago and has spread to 25 cities and nine countries and which treats violence as an epidemic that can be stopped by treating the highest-risk people. But very few such programs push college. That’s a problem, said Michelle Caldeira, senior vice president of College Bound Dorchester, the organization that created Boston Uncornered in 2016. “The idea that not everyone is college material does a disservice to the genius that exists in these young people,” she said. Not everyone is convinced that sending gang members to college is the best way to meet their needs or better their communities. As Cure Violence’s senior director of science and policy Charles Ransford explains it, you have to address problems including PTSD, drug use and trauma before a student can sit in a classroom. DeVone Boggan, CEO of Advance Peace, a California-based program that helps firearm offenders chart individual “life maps” to change, says the men it serves aren’t ready for higher education — “and education certainly isn’t ready for them.” The men, he says, want jobs. A program such as Boston Uncornered, which offers academic, financial and emotional supports, isn’t cheap. It costs $32,000 a year, per student, Caldeira said. But, she said, that’s still less than a third of what the state spends annually on a prison inmate. And that’s just Massachusetts. Factoring in lost wages and medical costs, gun violence costs the nation $45 billion a year, according to a 2017 study by researchers at Johns Hopkins University, who tapped into data from the Centers for Disease Control. The results so far are encouraging. Caldeira said that only a quarter of Boston Uncornered participants commit another crime, compared to nearly half of all young male offenders in Massachusetts, according to the state Department of Corrections. And although it is still too early to gauge graduation rates of the 200 students in the program, close to half, she said, have stayed in school. 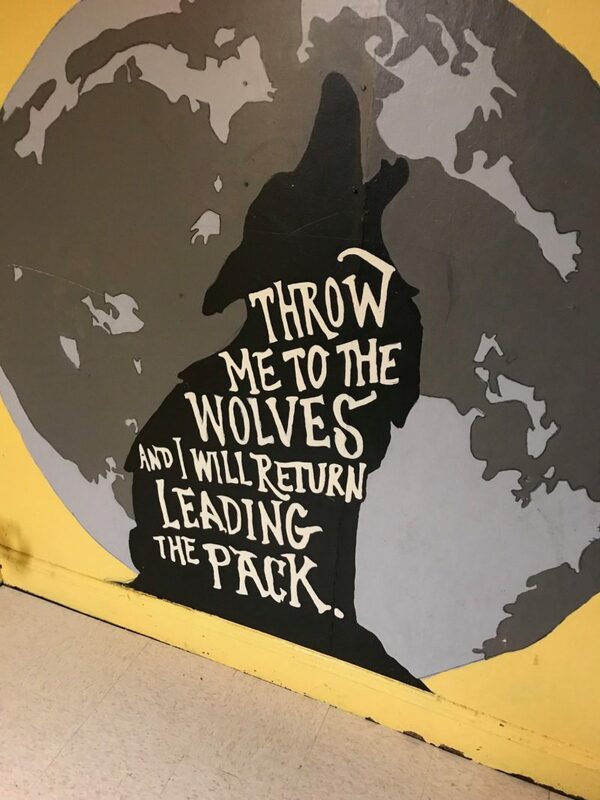 Today, Massachusetts has one of the nation’s only grant programs focused on preventing violence among the most at-risk and dangerous young men. Recipients of the grants, including Boston Uncornered, use outreach workers to identify the young men on the streets and connect them with education, employment and mental health care. Related: Can ‘work colleges’ in cities become a low-cost, high-value model for the future? For every dollar Boston spends on the program, it saves $7.35 in crime reduction, according to a 2014 evaluation conducted for the Massachusetts Executive Office of Health and Human Services. So why aren’t more cities copying the approach? Mike McLively, senior staff attorney at the Giffords Law Center to Prevent Gun Violence, said it comes down to politics. Most lawmakers see gun violence as a problem to be solved through gun control or law enforcement; they aren’t looking at prevention. At the same time, politicians and the public are more sympathetic to the students who are victims of school shootings, not the dropouts who are much more likely to be killed by gunfire. Convincing these young dropouts to give school another try can be challenging, Caldeira said. It can take up to a year or two for the program’s outreach workers — many of whom are former gang members themselves — to sell a prospective student on college. The key, she said, is to wait for the “inflection point:” that moment when someone has just lost a best friend or had a baby and is ready for change. For Jackson, that point came when his girlfriend was shot by the gang he used to run with. Still, he had his doubts about enrolling. He hadn’t been in a classroom since 2004, when he got his GED in prison, and he worried about how he would pay for college. Kenny Schoonmaker, a college readiness advisor with his own history of gang and drug involvement, helped Jackson catch up academically, register for classes and secure an $400 weekly stipend** that he uses to buy clothing and food for his now 7-year-old daughter. A Boston program offers college prep, mentors and stipends to the 1 percent of young adults researchers say are involved in 70 percent of the city’s homicides. In a recent writing class, Jackson and his classmates discussed how TV portrayals of crime — told from the perspective of police — have shaped public perceptions of the accused. So what’s the solution, his professor asked? Supporters of Boston Uncornered believe the model has the potential to drastically reduce gun violence nationwide, at a modest cost. After all, “It’s a small number of people who are carrying out a large percentage of violence,” said McLively. First, though, Boston will have to show other cities that it’s saving not just a couple hundred gang members, but entire communities. And that, Caldeira mused, could take decades. *Correction: An earlier version of this story incorrectly identified Matt Jackson. The story is updated throughout. **Correction: This story has been updated with the correct stipend amount.